I will start this post by saying that I didn't like Dr. Chee Soon Juan some years ago. I did blog about this but have since deleted the post. In that post, I called Dr. Chee a 'disease'. Trust me when I say I regret the name calling. I feel so bad about it! If I could turn back time, I would have been a little more mature about this nonsensical and brutal game called POLITICS. For starters, I do regret being brainwashed by the media. Like most of us, I've chosen not to believe everything the press says. Especially when it's mostly one sided like we see here in Singapore. More so when it comes to the elections. If you do not see what many of us see, then you are probably biased. Agreed? 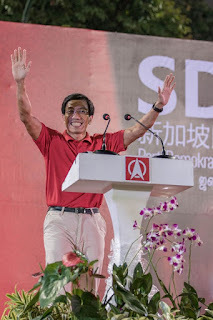 Aside from the late Lee Kuan Yew, I have never been captivated by a local politician. I've tried listening many a times to the many ministers that are paid millions of dollars but it was more of a snooze fest. They blab on and on but there isn't a driving force nor substance. Nothing made me go YES YES YES YES. Take the recent National Day Rally for example. The one and only part I watched was the very talented Kit Chan in the beginning. Hold up. Please allow me to sidetrack for a bit. There are some of you that remember that I volunteered with the People's Action Party during the last G.E. So it's not astonishing that I've very recently heard that I've been called traitor and some not very unpleasant names. I am allowed to have a change of mind/heart no? I am allowed to wake up and smell the roses especially after the recent demons I've faced in my life right? Fact is I would love a political party that admits their mistakes. Apologize when you have done something wrong and promise the people that it will be rectified. Don't beat around the bush because the citizens don't deserve that. Don't pretend that you are always right when nobody is. This isn't and should not be a communist country. But it sure does feel like one! It is only when one hits rock bottom that they wake up and realize what's happening around them. You will never understand unless you have walked in my shoes. For the record, the only reason why I volunteered with the PAP is because of Inderjit Singh. Residents here know how much he has done for the people. This is one man that I've got tremendous respect for. While I do not know his predecessor Henry Kwek, he came by the house the other day and showed my parents a lot of compassion. For that I thank him. Moving on...There are so many issues that Singaporeans are unhappy with. I know we aren't a country to organize a mass protest but if you can complain on and on at a kopi session, then you know what you should do. Complaining doesn't make a problem go away. Action does! That's all it takes from a person. An action creates a solution ladies and gentlemen. Back to Dr. Chee. I wish this wasn't an elections for the various parties. I wish this was an election for the next Prime Minister (that's something we don't have but we can vote for a president that is as useful as my pubic hair). 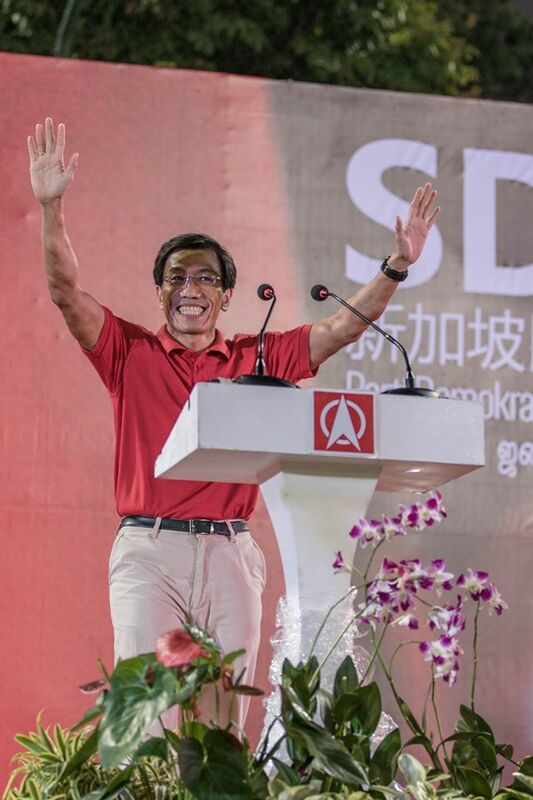 Why can't Singaporeans vote for the most important job in Singapore? Should we not have a say as to who our future leader is? It certainly should not be a 'hand me down' leadership. Dr. Chee has captivated Singaporeans from all walks of life. It's evident from the strong turnout at all the SDP rallies and the number of views on YouTube. 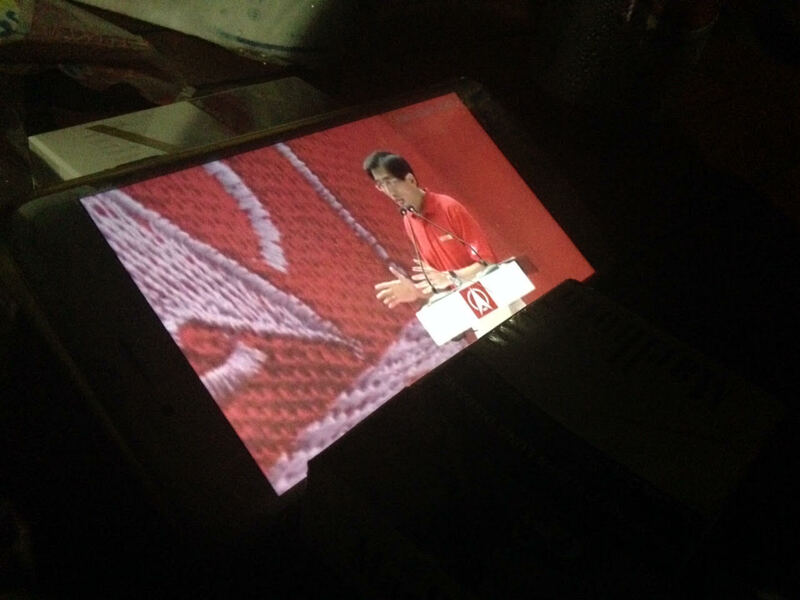 In fact, I saw someone watching Dr. Chee's speech at Raffles Place when I was at East Coast Park last night. To Dr. Chee Soon Juan, I apologize for the harsh post which I wish I could take back. Since I do not own a time machine, I can promise you one thing. You have my firm and unwavering support in whatever you do. I sincerely feel and hope that this genuine post from the heart is worthy enough as one of many apologies that I owe you. Keep the dream alive and keep fighting for everything you believe in. I will end this post with the two videos I shared on Facebook recently and a video from SDP's anniversary dinner. ps: I do know that there is a high chance that my blog will be spammed by pro PAP comments because well, I was involved in the last G.E. Let's keep this fair shall we?